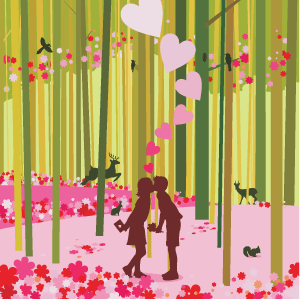 So this month is all about LOVE! Most of you that know me well, know I call this day Satan’s Holiday. So since we are all about celebrating holidays this year it got me thinking…where in the heck did Valentine’s Day come from? In a tiny nutshell we can thank the crazy Romans. This did start out as a pagan holiday called Lupercalia. It was a fertility festival dedicated to Faunus, the Roman god of agriculture, as well as to the Roman founders Romulus and Remus. The Christian Church decided around 270 AD to replace this pagan holiday with St. Valentine’s Day named after a priest that performed illegal marriage services even after Roman Ruler – Emperor Claudius II outlawed it believing that single men made better soldiers then married ones. Century after century the holiday became more about love and small gifts and then jumping ahead to 1913 when Hallmark Cards joined in the fun and the rest shall we say is history. The commercialization of Valentine’s Day is now in full swing. So there you have it folks – Enjoy your day of Love! Our Ocean Mineral Spray Lotion includes Aloe Vera to soothe and heal skin irritations, and Avocado oil, which promotes regeneration and moisturizes dry areas. The spray makes it easy to moisturize – just spritz and go! To take advantage of this offer, go to our Gift Certificate Page (or click on the Gift Certificate link on our home page or at the bottom of this page) and click on the Chinese New Year Special. Purchase an SPF30 Foundation Brush for $52 and receive an SPF35 Lip Shine Free (A $25 value.) Our Foundation Brushes give you the ultimate protection from sun damage and its aging effects with a soft focus finish. Easy to apply and reapply throughout the day to keep your skin protected and beautiful. A safe, non-irritating, UVA and UVB sun protection. Give your lips a tint of colore while shielding them from the sun’s harmful rays with Sunforgettable Lip Shine SPF 35 with Broad Spectrum UVA/UVB sun protection. 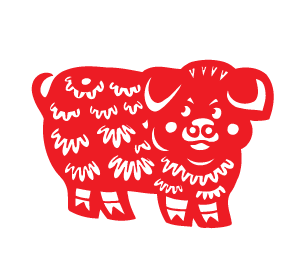 To take advantage of this offer, go to our Gift Certificate Page (or click on the Gift Certificate link on our home page or at the bottom of this page) and click on the Chinese New Year Special. Then come into Raspberry Moon Skin Therapy to pick out your colores. 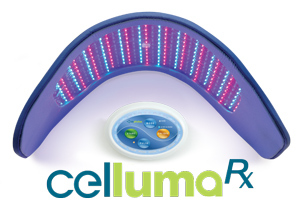 Celluma Special – Try out our new fabulous LED Light Therapy Machine – Red for anti-aging or Blue for Acne. These treatments can be done 2-3 times per week. Simply come in with clean skin and relax under the lights for 30 minutes. We’ll apply Serum, Moisturizer and Sunscreen, and away you go. Normally add on to a facial for $25, but take advantage of this deal to be used in the month of March 2014 (make your appointments immediately for the best times) and come in twice a week every week in March (for a total of 8 visits) for only $125 (save $75). Read all about our new Celluma treatment later on in this newsletter. Get a special deal on our SPF30 Kit – Purchase an SPF30 Brush, SPF35 Lip Shine and SPF30 Primer for $100 ($129 value) and also receive a FREE Beach Bag ($20 value). Sunforgettable® Mineral Sunscreen Brush SPF 30 – Achieve the ultimate protection from sun damage and its aging effects with a soft focus finish. Sunforgettable sunscreens are easy to apply and reapply throughout the day to keep your skin protected and beautiful. Sunforgettable SPF 30 highly refined mineral sunscreen provides safe, non-irritating, UVA and UVB sun protection. Sunforgettable® Lip Shine SPF 35 – Protect your lips 365 days a year while still looking beautiful. Give your lips a tint of colore while shielding them from the sun’s harmful rays with Sunforgettable Lip Shine SPF 35 with Broad Spectrum UVA/UVB sun protection. Sunforgettable® Face Primer SPF 30 Offers a high level of broad spectrum UVA and UVB sun protection for an active lifestyle while the universal shade helps even the look of skin tone. 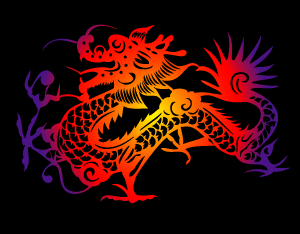 To take advantage of this offer, go to our Gift Certificate Page (or click on the Gift Certificate link on our home page or at the bottom of this page) and click on the Chinese New Year Special. Then come to Raspberry Moon Skin Therapy to pick out your Brush and Lip Shine colores. Don’t monkey around with your skin – Purchase an Over the Moon Facial for $70 and we’ll upgrade you to a deluxe peel off mask customized for your skin type, and you’ll also receive a Free Brow shaping. Your peel off mask will be picked based on your skin care needs. These masks are more intensive and provide a beautiful look to the skin. We have masks for anti-aging, hydration, acne, fine lines – you name it. I will be sure to pick the right one for your skin type. Strut your stuff with this fabulous BOGO Deal! Purchase a $200 Gift Certificate and receive a $100 voucher to use between February 9 and April 9, 2014. Purchase a $100 Gift Certificate and receive a $50 voucher to use between February 9 and April 9, 2014. These can be used for products or services. Vouchers cannot be combined with other offers or promotions, and vouchers must be redeemed between February 9 and April 9, 2014. Remember, this offer is available for purchase on Sunday, February 9th! Once purchased, your Gift Certificate is good for one year. 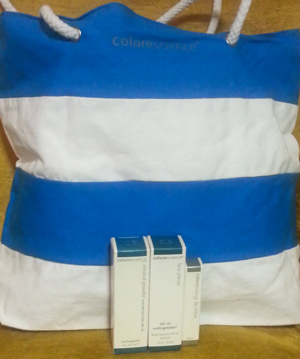 The complimentary voucher is good between February 9 and April 9, 2014. Today only 75% off all remaining items from Ecuador. Must be picked up and paid for on Monday! This will not be an online deal, you must come by the shop. I will be in the shop from 11am until 8pm. I will be with clients part of this time so please give me a moment to get to the door as it will be locked. Purchase a Saucy Chica Glow or DEW Serum for $69 and receive a FREE Cleanser or Toner. (Up to a $32 value) Check out www.SaucyChicaSkincare.com to see our fabulous products. I felt bad that the Kitty Kat didn’t place because the Rat (which is my sign) was sneaky, so here is an extra special savings in honor of the Cat – I have $100ish value Surprise Gift Bags for only $30. Not sure what all you might find in your bag. It will be a fun surprise – no peeking allowed! These bags will be available at the shop through the 12 Days of Chinese New Year Sale and only while supplies last. Let’s skip the sacrificing of animals and the beating and move on to something a little more fun this Valentine’s Day. Here are my thoughts on cool Valentine’s Day Gifts. This is just my 2 cents – take it or leave it. I am all for traveling – so even if it’s a night out close by, that is totally cool. You can always check out Groupon, Living Social, Deal Chicken and Travelzoo for some great ideas and stick in a price range that works for you. This would even be fun to do as a couple at a traditional spa or given as a gift. Like say an “I ♥ You” Package from Raspberry Moon! Or do your own spa night at home. Candles, tub, oil and snacks should settle everyone right in. You can buy these already done or make up your own. This is a super fun idea. Simply write out 12 cards that have a “gift” on them. It can be for anything – A Massage, Do the Dishes, Bathe the Kids, Lunch “Call” – You get the idea I don’t need to spell it out for you. But have fun and be creative. And as a side note you could do this for your kids too…Maybe do things fun with them that is just your time with them or maybe a coupon for their favorite cereal, snack or dinner? Make them as big or little as you would like. 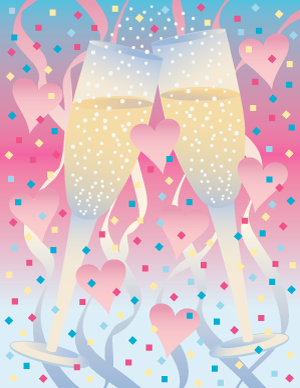 Need some help then check out – http://freebies.about.com/od/valentines-day-freebies/tp/printable-love-coupons.htm for several options. This doesn’t have to be crazy and you can get pretty much ready made dinners at Publix, Whole Foods, or Earthfare. Or even better, make something fun together. 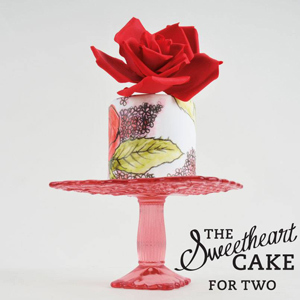 Make this Valentine’s Day unforgettable with our Sweetheart Cake for Two. Choose between two luscious flavors: Red Velvet with Cream Cheese Buttercream or White Champagne Cake with Rosewater Buttercream. $40.00 Each. Limited Availability. Local Delivery Only. Last but not least – Men this one is for you. Ask the wife what it is she really wants. Maybe all she wants is for you to watch the kids one night so she can go hang out with the girls. Or maybe help with dishes and bath time. Did you know that people receive and give love in 5 different ways? Want to make your life even easier? Check out http://www.5lovelanguages.com/profile/ – It is worth a try. 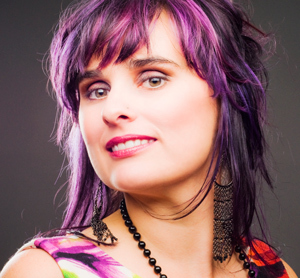 This Glamorous Extra would normally be $25 for a 30 minute add on service, but through the month of February add to any Over the Moon Facial Experience for only $15. Want to do a series to really see results? 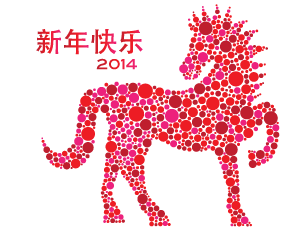 Be sure to check out our Thursday, February 5th Chinese New Year Deal! Did you purchase a gift certificate for yourself or receive a gift certificate for the holidays? Be sure to book your appointment and please be sure to tell me that you are using a gift certificate so I can be sure I have booked out enough time. Some of the certificates are for more than just an hour. My Sunday appointments the next few months are February 9th and 23rd, March 16th and 30th, and April 6th and 27th. I will be out of the office March 6th-11th for a tradeshow in New York.